The root cause of Madagascar's 2009 coup was the prospective sale of arable land to the South Korean company Daewoo. Investment in Madagascar land has increased significantly since then. RSCDA-IO,  a Madagascar-based independent, Pan-African organization, promotes sustainable development, and representative Zo Randriamaro specializes in protecting the land rights. 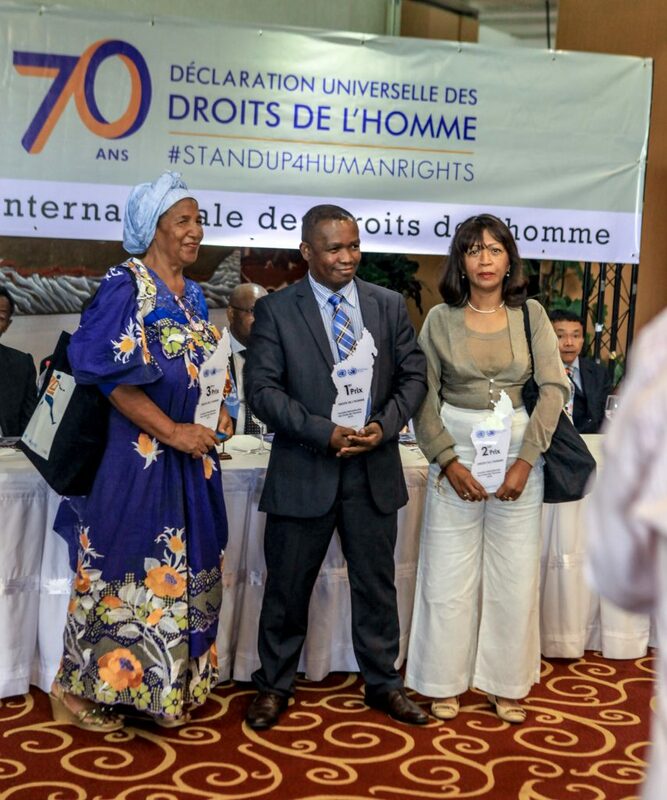 In 2018, Randriamaro and RSCDA-IO received the United Nations Prize in the Field of Human Rights  for their remarkable contributions to the rights of farming and fishing communities in Madagascar. ZR: The Toliara Sands case concerns the mining project majority-financed by Australian company Base Resources for mining ilmenite and precious heavy metals (rutile, zircon and leucoxene) along the southwest coast of Madagascar. The [company] headquarters are registered in the tax haven of Mauritius, which, thanks to the bilateral tax treaty  between Mauritius and Madagascar, allows it to pay just 3 percent tax on its assets to Mauritius. [A] 2006 Social and Environmental Impact Study  stated that … this project would lead to displacement … of inhabitants as well as the areas of pasture, agricultural land and natural resources … It would also lead to [environmental] destruction, including the living areas and food sources of waterside communities. Following [the Council's] decision, the affected communities mobilized to reaffirm their opposition to the Declarations of Public Utility (DUP) in favor of Toliara Sands, particularly the Vezo fishing community, who robustly voiced their opinions … during a public demonstration on July 27, 2018. With the support of RSCDA-IO, the MA.ZO.TO association filed a request to annul these DUPs with the State Council, and started an online petition . At the Human Rights Awards Ceremony in Antananarivo, Madagascar, from right to left: Randriamaro and RSCDA-IO, second-prize winner, nature conservation activist Mr. Clovis Razafimalala, first-prize winner, representative of an organization defending women's rights, [name unavailable], third prize. Photo via RSCDA-IO with their permission. I was particularly struck when Andriomatoa Ravela, a member of the regional branch of the Independent Observatory of Economic, Social and Cultural Rights coordinated by RSCDA-IO, was arrested and convicted  with a two-year suspended sentence on the basis of the false accusations. ZR: In my opinion, it's not a question of being for or against international investors, although world economic history shows that a process of foreign economic development conceived and implemented with the participation of native communities has a greater chance of lasting success.